Conversations between the Lakers and Pelicans about All-NBA big man Anthony Davis are expected to pick up next week. According to Tania Ganguli of the L.A. Times, after being underwhelmed by Los Angeles' first offer, New Orleans is expected to make a counteroffer that would ask for two first-round picks and add another Pelicans player to the deal. The Lakers reportedly sent five offers to the Pelicans on Wednesday, and one of the proposed trades included Kyle Kuzma, Brandon Ingram, Lonzo Ball, Ivica Zubac and a No. 1 pick. On Friday, Davis said he felt like it was time to move on from the franchise that drafted him first overall back in 2012. Davis is the Lakers' primary trade target and, according to multiple reports, he will not sign an extension if traded to any other franchise, as his sights are set on L.A. whether it be this season or in the near future. 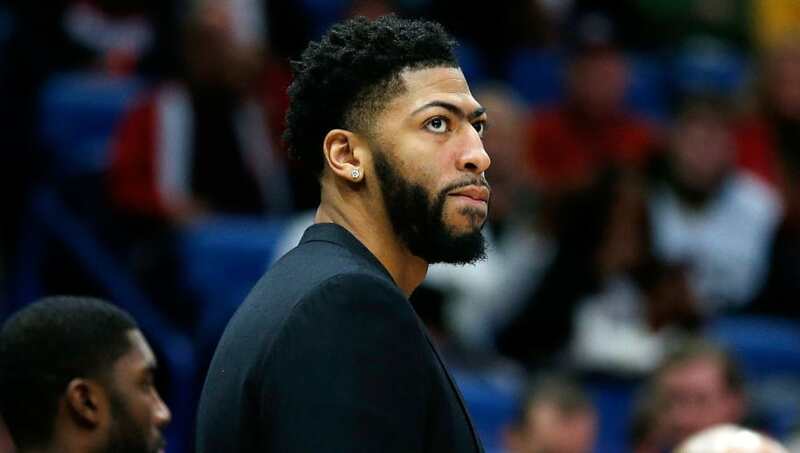 The Celtics and Knicks emerged as the Lakers main contenders for The Brow, but Davis's father, Anthony Davis Sr., said he didn't want his son joining the Celtics after the team's treatment of former guard Isaiah Thomas. Boston cannot trade for Davis right now anyway due to the "Rose Rule" (Kyrie Irving is currently on a Rose-rule deal) so it will be interesting to see if the Lakers can get a deal done by the deadline to ensure the All-Star forward is on their roster going forward.